Since you may well have noticed, Jaffa is one of my favorite places for architectural/designer findings. 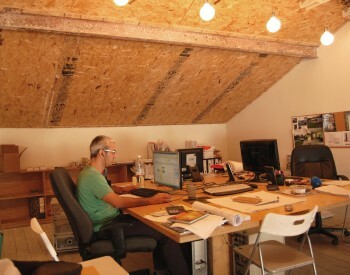 At 19 Ben Dosa street you will find 4 architects sharing a really great workspace. 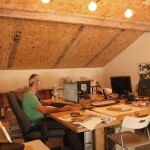 Dan Troim (whose apartment I posted about a few weeks ago), Yaal Zuaretz, Yoav Molho and Shelly Guggenheim share this wonderful work space. There are many great things about this space and one of them is that they moved in and didn’t redo everything. 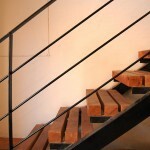 They used a lot of the existing walls, floors, gallery and even the ceiling and added some of their own elements to it. 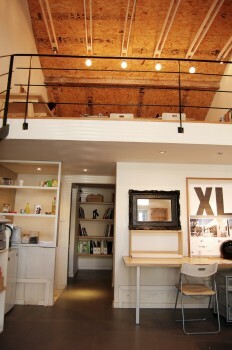 Great thing #2 about this space is the high ceiling, and the ceiling itself. 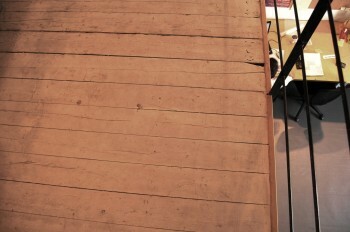 It’s made of OSB which creates this warm, cosy wooden cabin feeling despite the height. I love the row of naked light bulbs. 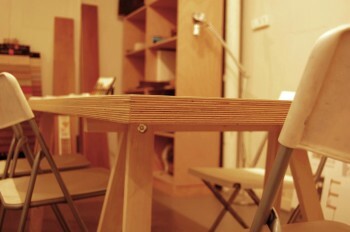 The other thing I really liked about the office space is that its designed really simply. 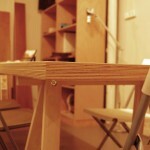 The tables are made of simple wood with wooden trestle legs, which I am a big fan of. 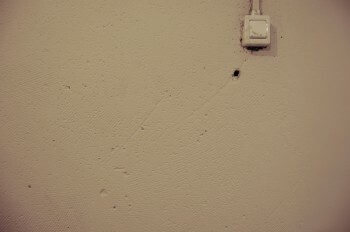 The walls are all white, except for this one below which has special plaster that looks like cement, but classier. 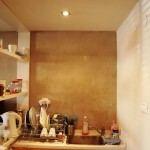 The previous tenant was a plasterer who imported, mixed and sold various types of plaster. 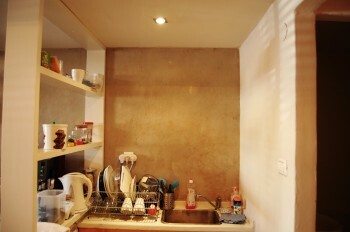 I loved the little kitchenette space, and all the dishes were washed as well, very impressive. 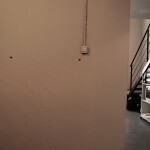 Here’s another example where they used the existing wall texture and light switch are very industrial. 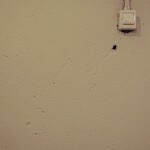 Hope you can see the texture. 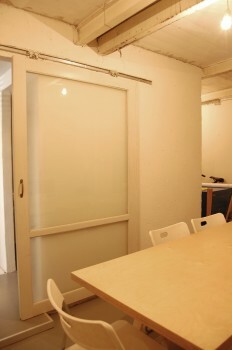 The conference room, simple and elegant. I love the beam on the ceiling which is holding up the gallery floor. 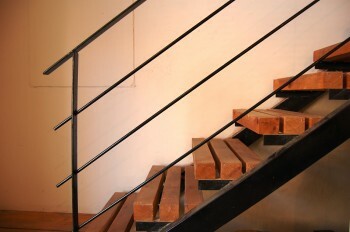 The stairs, again, simple industrial materials that you can also use for any apartment. 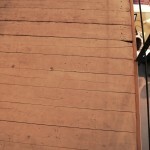 The floor, though old was painted white, which shows you that you don’t need a shiny new floor for it to be beautiful. 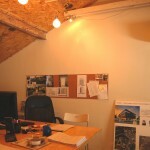 This entry was posted in Artist, Design, furniture and tagged Office tour, OSB Ceiling by Shelly Sharron. Bookmark the permalink.